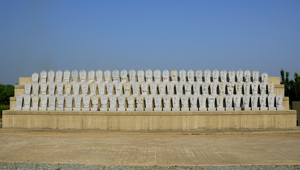 B.C 97, Suijin emperor era, Ohikonomikoto, one of the general had been delegated to Sado island and reigned over Sado Island, at Kitayama, Yashikigahara. 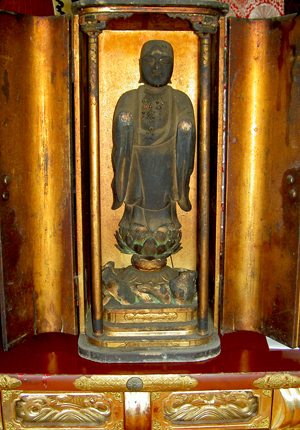 A temple had been constructed by this origin story, so people called “Hotokegatouge” it literary means Buddha pass, and principle sculpture Jizo bosatsu in addition to Fudo Myooh and Kokuzo Bosatsu are considering that was made by Gyoki Bosatsu. Then the temple was extremely damaged due to snowstorm and reconstructed / transferred to here by inhabitants of a village on 810. 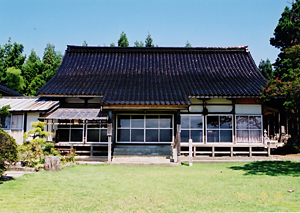 The temple was called “Tanaka-bo” at then, it is the beginning of Shindenji. 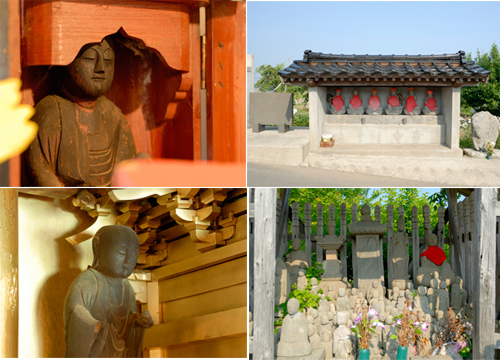 So-called "Jizo Temple" because many of Jizo Bosatsu are enshrined on this temple. Not allowed to disclose; - that has inherited to only chief priest, In this time the photograph was offered only for Web site. 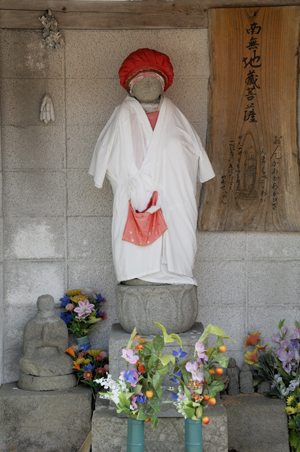 This Jizo is sometimes called "North direction Jizo" because of facing to north direction, and it is effective for cure of any women disease. 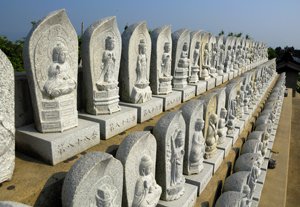 The sand of 88 holy places of origin Shikoku island are included in each corresponding numbers of those stone Buddha, that means, those were donated for whoever is not able to worship Shikoku 88 holy places. 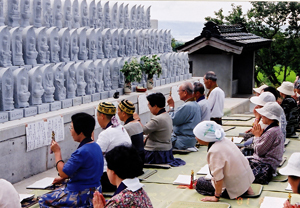 In addition, the sand of Kohya Mountain is included in the Kobo-Daishi tower of stone, for those who is not able to worship to origin Kohya Mt.